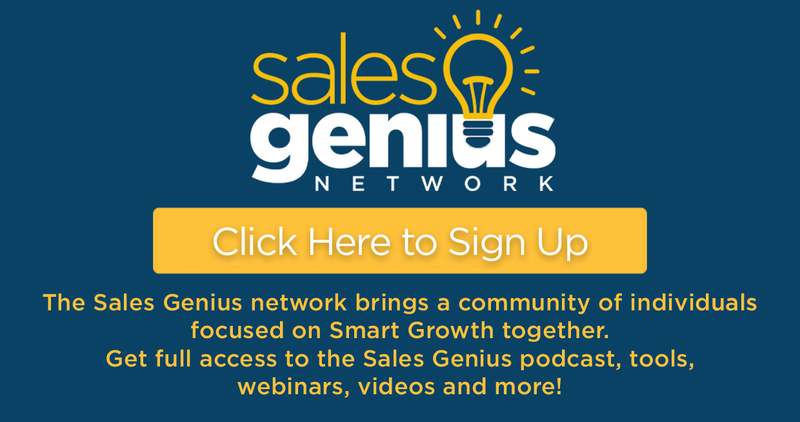 This video is an excerpt of our webinar "Increasing Your Lead to Sales Success." See the full webinar here. For years, content marketers have been focused on creating thought leadership and thought leadership is a large part of the cause. Think about it, you’re generating content — blog, emails, collateral, videos, podcasts, white papers —and you’re teaching our salespeople to present, run better demos and have better conversations. All of this is content, built around the idea of generating thought leadership. We want people to see our content and think, “these guys know what they're doing; they’re smart.” The idea behind this is that when someone realizes they need something because they’ve were exposed to our thought leadership and realize how smart we are, they’ll want to work with us (or at least talk to us). Theoretically, it should work, but it doesn't. Why? Thought leadership doesn't cause people to change their course or speed. 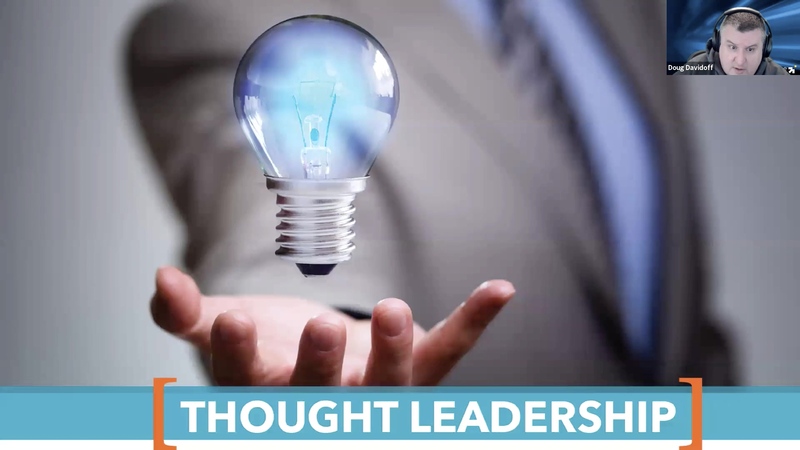 While thought leadership may lead to more traffic, more time per page, and even more downloads; if you are not influencing them to think differently, then your prospect is not going to change what they’re doing, and if they don't change course or speed, then if they're not buying from you, they are probably not going to buy from you. When we look at what type of content actually drives change, it's a very different type of content. What we call Point-of-View Insights. Point-of-view insights are frame-breaking insights that change how the person you're communicating with thinks about their situation. They change their mindset and mental maps. Insights are designed to upend the status quo. Make no mistake - insights politely but explicitly teach the customer why they're wrong. I get that's not really the socially acceptable thing to do. We don't want to make the customer feel stupid (that’s the polite part) but if you're not teaching your prospects why they’re wrong, then you are not generating relevancy. Implicit in every good insight is the idea: “Hey, you're wrong. Hey, you're doing it wrong. Hey, you need to think about it differently.” Thought leadership is about you, the seller; insights are about me, the buyer. If you give me an insight and I walk away thinking, “Wow, I might be wrong about this. Wow, I need to think about this differently,” that will stimulate a change in course, speed or, more likely, both. How does this impact your content strategy? 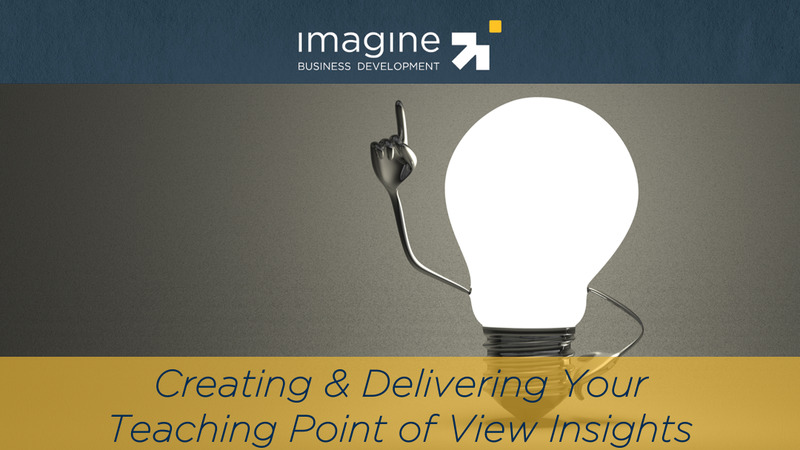 All of your content should be tied in some way to the key point-of-view insights you’ve developed. We typically recommend having about three to five core insights. This approach enables you to utilize the thought leadership you’ve developed in a way that generates action and creates a greater need. It will put you in a strong leadership position to enable your customer to eliminate the barriers to good decisions before you have them. You’ll be more relevant in your chosen markets, and you’ll initiate meaningful conversations well before your competitors even know there’s an opportunity emerging.